To skip the trouble finding different material for outer layer, you can pick darkroom cloth, same as for inner layer. I used to pick Thai silk for outer layer for it is very thin and soft, but it will stretch or distort if you cover it with a little bit harder pull or press, that takes specially care and skills for applying it, so I will not recommend this to bellows building beginners. 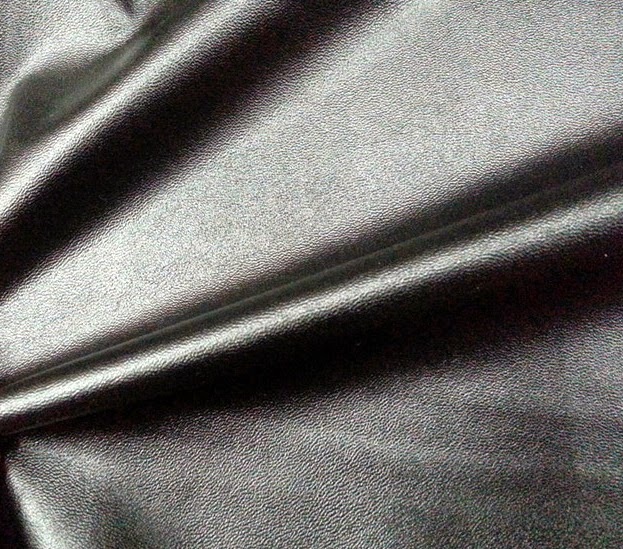 Another material you can pick is PU leatherette, it is common to see in everyday life, and easy to get some. But we need leatherette in rather thin thickness comparing with those for bag, sofa or car seats. You can find some leatherette in thickness about 0.2~0.4 mm for clothing in store, that will fit my need. If your bellows size is larger than mine, then maybe thicker leatherette such as in 0.6~1.0 mm could be good option. But always pick the thinner one if you can. And most important issue when you pick them, NO elastic feature for the fabric. I won't bother to find genuine leather for outer layer, first, such thickness is very hard to find, you may find them in book covering material supply shop, and it is expensive, very expensive; and secondary, I don't like the idea using animal skin as covering. 7. Lay over the bellows layout template on leatherette, draw the outline at back side of leatherette. Be reminded the template is placed in wrong side, for we are drawing outline on inner side. Place template at higher position to leave space beneath bottom line as image shows. 8. Now you can try to wrap the cone with leatherette, and move the leatherette up and down along the rib pair side line, find a perfect spot for the first rib, where the leatherette would completely cover the cone, and overlay a bit in the width of double sided tape. You should align to the shape A rib which with no inner layer seam. 9. Applying gel both on leatherette and rib pairs cone, add a little bit of water into water based gel, to have a smooth spray and no so thick glue. 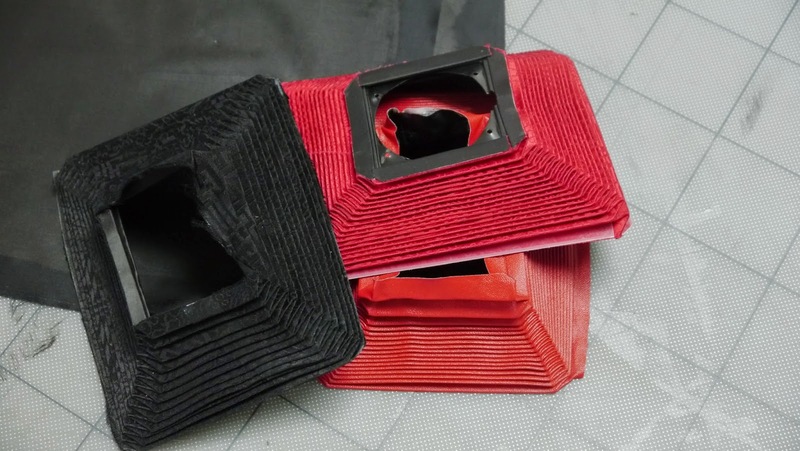 Be sure you pick the correct spot to begin applying leatherette on rib pair cone, locate the seam that inner layer made, then choose the opposite shape, watch the video implied.